Like many Yogis, my Yoga journey began as a physical practice. After watching a documentary called “Happy” I decided that I needed Yoga in my life and I took part in the ‘Bad Yogi 30 Day Yoga challenge’. From there I was hooked! I joined a local gym that offered Yoga classes and started doing some ‘Yoga Challenges’ on Instagram to learn new poses! Fast forward a few years and I decided I really wanted to deepen my Yoga practice and use my teaching skills (I am a Secondary School Music teacher) to perhaps teach some Yoga classes! I found out about CAMYOGA at the OM Yoga show in London - they seemed so relaxed and friendly and they offered a 2 week intensive course in August, which fit my school holidays perfectly! I spoke to some of my Yoga teachers at the gym and they all spoke so highly about CAMYOGA’s reputation and high standard of training, so I knew I’d picked the right course. The 2 weeks intensive training honestly changed my life. My understanding and love of Yoga grew so much and my mind was opened up to the philosophical and spiritual aspects of Yoga that made me realise Yoga is so much more than what happens on the mat. It opened me up to a daily meditation practice that I honestly feel has had a huge impact on my day to day life. I loved exploring my own physical practice and realising that there was so much ego involved that I needed to remove to really deepen and develop. But most of all, I was grateful for the opportunity to work with the wonderful people I got to know during those 2 weeks - I loved eating breakfast with them in the sun, hearing all about their personal Yoga journeys and teaching and studying with them. They were a truly wonderful group of people and I have loved following their Yoga journey since we graduated in November. I must add that I absolutely loved the assessment days! I enjoyed getting to be apart of everyone's assessment lessons,having the opportunity to talk about how our 6 week courses had been and to share our lesson plans / course outlines etc. I actually posted a vlog about my teacher training journey, which can be found here. 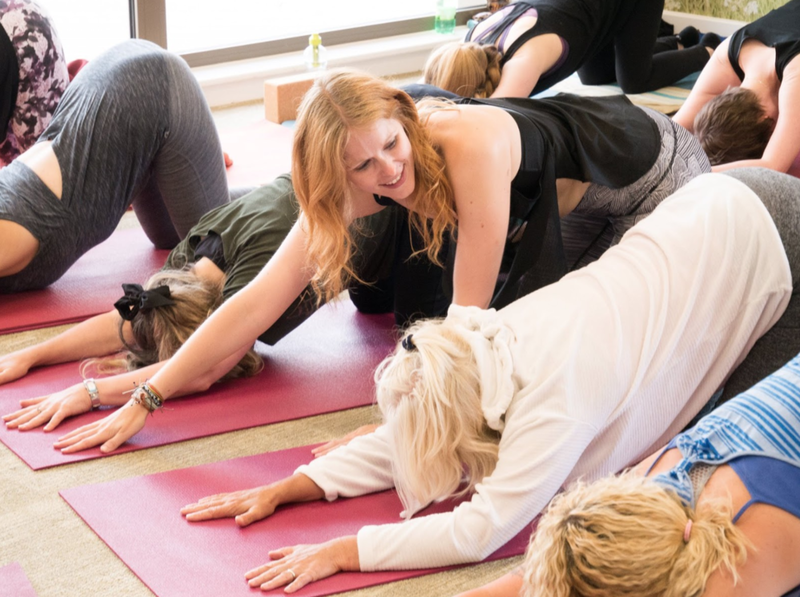 Straight after graduating in November, I had the wonderful opportunity to cover a few classes for CamYoga at the their Buckden site (now closed). The support and encouragement from some of the wonderful Jivamukti teachers I met there (Hakan and Andy!) really helped me to kick start my own Yoga teaching business. In January, I set up two local Yoga flow classes in my local area, using my 6 weeks beginners course I had planned as part of the YTT. After completing the course they wanted to continue their Yoga journey, so the classes have continued to grow ever since! 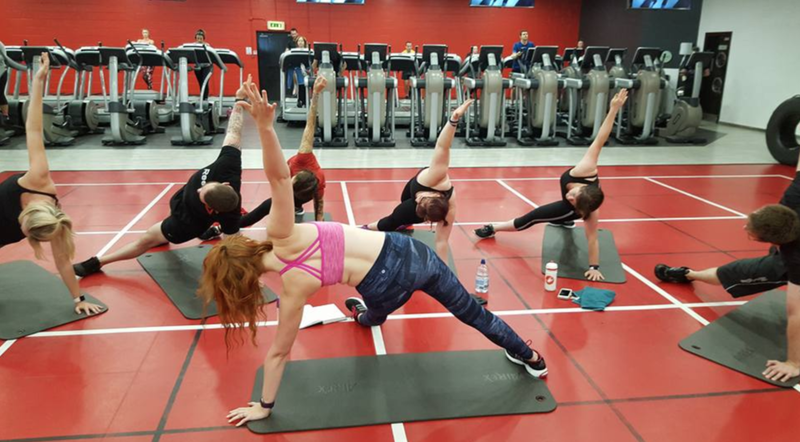 I also took on a weekly ‘Sweat Yoga’ class at a local gym, and from there my name was passed around to most of the gyms in Northamptonshire area, which means I each week I cover a wide range of classes (including pilates inspired Yoga and Yoga with weights!) and to work with a wide variety of people with differing experiences and expectations of Yoga. In my school holidays (especially this summer) I have been covering 2-3 classes a day! I have also started to bring Yoga into my full time teaching job, from holding Yoga sessions for staff and students who are preparing for their exams, to doing assemblies on mindfulness and meditation. Leading 600 Year 9 and 10 students through a short morning meditation was a wonderful experience! My favourite thing so far has been holding Yoga Brunch events. Myself and 16 Yogis spend the morning together moving the body through a themed asana practice, meditating together and finally digging into a tasty Vegan brunch! I’ve been lucky enough to find a wonderful, local, vegan catering company, Bharita, who have provided the most delicious post-yoga dishes, from pancakes to tofu scrambled ‘eggs’. It is a truly moving experience to see people coming together and sharing their practice with each other - there are always so many smiles and giggles! I am hoping to hold these events every 2 months and am currently looking into organising a mini Yoga retreat with a local glamping company. I am also looking forward to working teaching with the new HotPodYoga franchise that is opening in Northampton in September! From a personal perspective, Yoga teaching and developing my asana / meditation practice has really helped improve my mental wellbeing. My job as a secondary school teacher and Head of Year was becoming very overwhelming for me and I would often end up crying in the toilets as soon as I arrived to work in the morning. Nothing had changed at work - my job has always been demanding, but I was just not coping with the demands any more. I was working a full school day and then coming home and working until 11-12 pm every night. I just felt so physically and mentally exhausted. After my YTT, I developed a consistent morning Yoga and meditation practice that helped me start my day in a calm way. My readings of spiritual and philosophical texts helped me realise that there is nothing more important that the present moment and it helped me accept and surrender to the fact that I may never reach the bottom of my to-do list at work...and that is ok! Spending some of my evenings teaching Yoga made me realise there is so much more to life than my job. I am actually busier than I ever have been before, with teaching full time and teaching at least 4 Yoga classes a week on top of this, but I possibly the happiest I have ever been! People I work with often say “How do you stay so calm?”! I am so grateful for having taken the plunge into YTT and for the positive impact it has had on my life as a whole. I have had so many wonderful experiences in the short time I have been teaching and I am so looking forward to seeing where this journey may take me in the future.